Long ago, I fell in love with fold over clutches. Classic. Simple. Timeless. 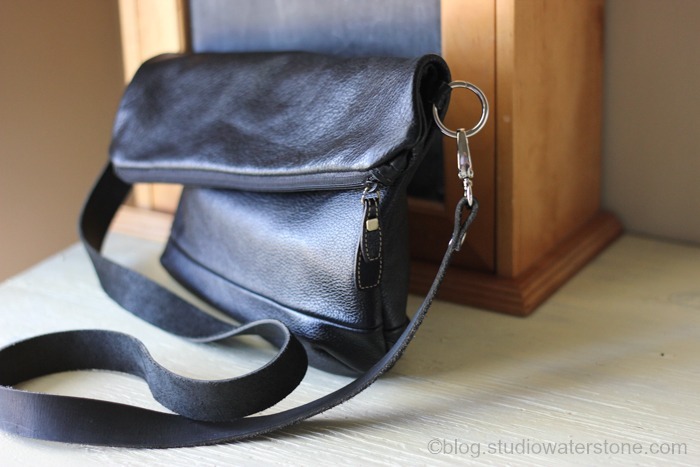 So I made one for myself using a gorgeous piece of recycled black leather. Well guess what? It sat. And sat. Never used. Afraid I'm just not a clutch kind of girl - even though I adore them. So when I traveled recently, planning so carefully, I needed a small day bag to take along with my all purpose tote. Enter the clutch. I added rings to the sides, a strap and voila. 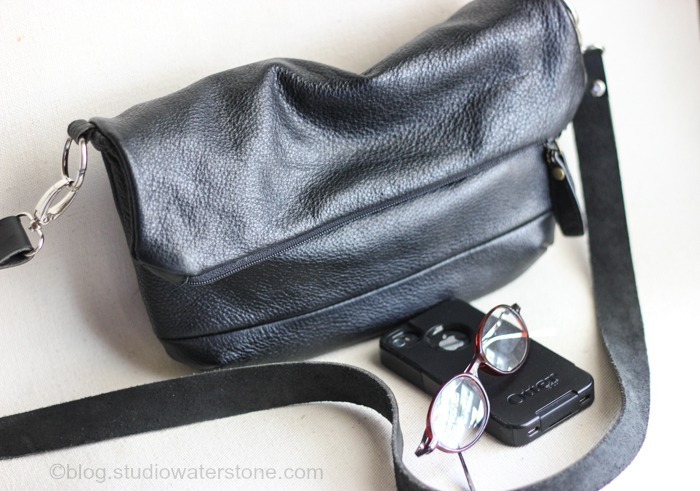 A classic, simple crossbody. Now used daily because it holds just what I need and then some. One step further. I love it so that I'm making two more to add to the shop this week. 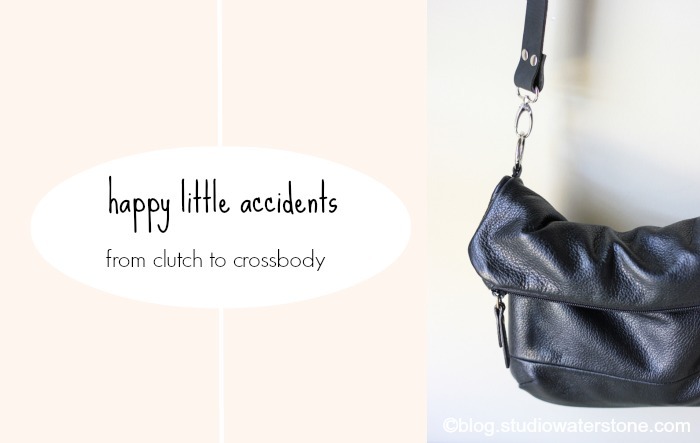 If you're interested in this sweet little cross body, watch here or on Facebook for the shop announcement.